2:24 PM PT -- Sources close to Lezhae dispute Alexis's account of how things went down. We're told Lezhae did not follow Alexis or her crew to the White Castle lot, they just both coincidentally happened to land there for a late night bite. Our sources say when Lezhae pulled up, Alexis and her crew stormed her car, which prompted Lezhae to hop out with a knife in hand ... 'cause we're told she didn't want to get jumped. We're told Lezhae insists she did not swing the knife at anyone before a fight broke out between the crews, which allegedly included Lezhae getting hit by males in Alexis's crew. Our Lezhae sources insist Alexis was present during the altercation and not at home. Regarding Lezhae's arrest, we're told (and have confirmed through a police report) she was arrested for disorderly conduct/improper behavior for allegedly continuing to yell and threaten the opposing crew when cops eventually showed. She was not arrested for wielding a knife or for getting into a fight. 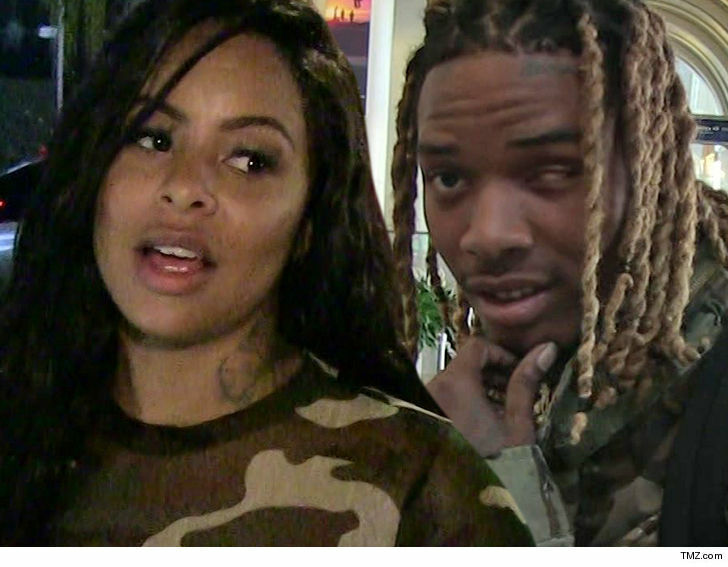 Fetty Wap has some serious baby mama drama ... because two of his BMs have major beef, and Lezhae Lowder was arrested after allegedly pulling a knife with the intended target ... Alexis Skyy. Law enforcement sources tell TMZ ... Lezhae was arrested and charged with misdemeanor reckless endangerment after cops in Paterson, NJ responded to a call about a fight in a White Castle parking lot. Sources close to Alexis tell TMZ ... the 'Love & Hip Hop' star was partying Thursday night at the New Jersey bar where Lezhae works, and Lezhae tried to fight Alexis as soon as she arrived. We're told the 2 women eventually calmed down, but Lezhae threw a bottle at Alexis' car when she was leaving! After the drama at the club, we're told Alexis went home and her friends went to a nearby White Castle ... and that's when Lezhae pulled up to the parking lot looking for Alexis -- and allegedly started throwing more bottles! We're told Alexis' friends piled out of their car and Lezhae allegedly pulled out a knife, asking for Alexis ... from there, things escalated and a fight broke out! Cops were called at 3:20 AM and Lezhae ended up in handcuffs. Our law enforcement sources would not confirm allegations of bottles being thrown or Lezhae pulling a knife ... and Lezhae has not responded to our requests for comment. 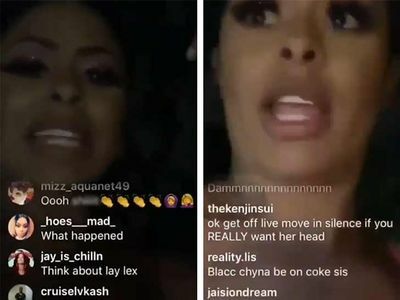 As you know ... Alexis is also beefing with Blac Chyna over Rob Kardashian, and they almost came to blows during a house party! Hopefully, Rob knows what he's getting into with Alexis ... if not, he might want to hit up Fetty.